Make no mistake, choosing the right florist makes all the difference. 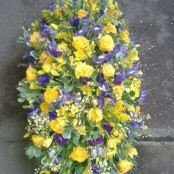 And if you want to achieve same day delivery in Prees none are better qualified than the team at Gallery Flowers. With fresh flower deliveries arriving daily from the local markets and local flower growers we always have a wonderful selection of flowers. 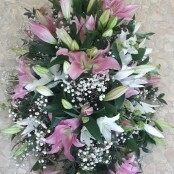 For Birthday flowers to Prees or anniversary flowers - flowers for any occasion - be assured Gallery Flowers are best placed to deliver fresh flowers daily. 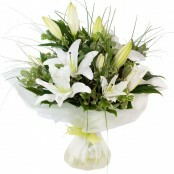 For same day flowers delivered to Prees please ensure your order is placed with us before 2pm local time. 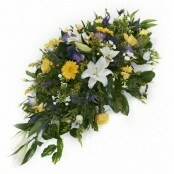 Below is a selection of flowers that can be delivered the same day in Prees if ordered by 2.00pm (depending on stock levels). 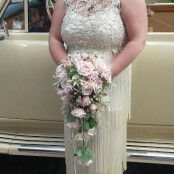 We can also deliver flowers the same day in the following areas Chemistry, Waymills, Grindley Brook, Brooklands, Broughall, Wirswall, Blackoe, Alkington, Ash Parva, Ash Magna, Painters Green, Redbrook, Old Woodhouse, Whitewell, Bradley Green, The Chequer, Steel Heath, Cotonwood, Higher Wych, Marley Green, Hollinwood, Platt Lane, Little Green, Ightfield, Swanwick Green, Bronington, Norbury, Bickleywood, Stanley Green, Burleydam, Gauntons Bank, Prees Higher Heath,, Pinsley Green, Ightfield Heath, Welsh End, Eglwys Cross, Bickley Town, Lighteach, Coton, Norbury Common, Newhall, Drury Lane, Wrenbury, Bickley Moss, Willaston, Hetherson Green, Prees, Quina Brook, Whitchurch, Chemistry, Waymills, Grindley Brook, Brooklands, Broughall, Wirswall, Bradeley Green, Blackoe, Alkington, Ash Magna, Painters Green, Redbrook, Tilstock, Hollins Lane, Steel Heath, Cotonwood, Higher Wych, Marley Green, Hollinwood, Little Green, Ightfield, Swanwick Green, Bronington, Norbury, Stanley Green, Burleydam, Gauntons Bank, Prees Higher Heath, Welsh End, Eglwys Cross, Bickley Town, Lighteach, Coton, Drury Lane, Wrenbury, Bickley Moss, Willaston, Hetherson Green, Quina Brook, Ash Parva, Prees Heath, The Chequer, Platt Lane, Bickleywood, Pinsley Green, Ightfield Heath, Norbury Common, Upper College and many more. 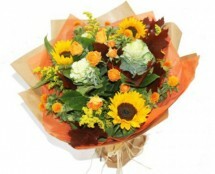 Please call us on 01948 661111 to see if we can deliver flowers in your area.